Have you ever thought something was going to go a certain way, but once you jumped into it it had a completely different outcome than you imagined? Let’s think about that statement a bit, shall we? Clarity comes from engagement-that means you have to take some sort of action to see if you’re going in the right direction. So sitting there thinking about doing something will not give you an answer. You must get up and get going, then you’ll figure it out. There’s no way to honestly figure it out without doing the work. So what has all this clarity taught me? Well, I recently gave my handmade business a makeover by changing the logo, products, and packaging. I even branched out away from Etsy and created my own website with these new designs. That’s when I realized that I don’t really want to leave Etsy. I want to stay, so I gave my Etsy shop a makeover too! FYI, if you’re an Etsy fan you can now purchase Etsy Gift Cards to give as gifts. The recipient can spend their card in any Etsy shop they please (as long as the shop accepts them). Speaking of cards, my new biz cards arrived last week (clouds part in the sky, the sun shines through, angels sing). They’re called MiniCards (I like to call them Mini Moos) and they’re awesome! 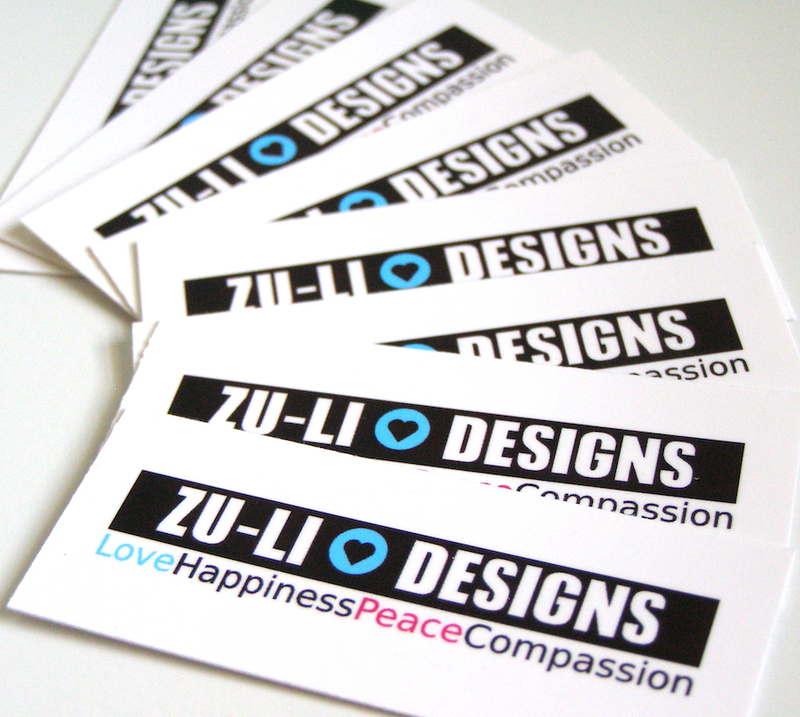 They’re half the size of normal sized business cards and have a silky smooth matte finish. I bought them from Moo (<—–follow that link & get 10% off your first order!). The quality of the cards are exceptional and I’m pleased with Moo’s quick turn around. I’m excited to pass these babies around! As promised, I listed some of my magnet gift sets. If you have any design ideas, I’d love to hear them! Leave a comment or contact me! Well, I’m off to make some glass pendants for my pal Jenipher Lynn from Nightly Doodles. I’ll let you know more about that next week! This entry was posted in What's New and tagged business cards, clarity through action, Etsy, etsy gift cards, gift, gift card, handmade business, magnet set, mini cards, moo, online shopping on October 24, 2012 by Billie Gardner.